When you donate something from our wishlist, you are helping us serve local families. Your support is vital as we work toward fulfilling our mission to strengthen families and protect children. Thank you! To see if there are any immediate needs at The Family Place, please call (435) 752-8880. 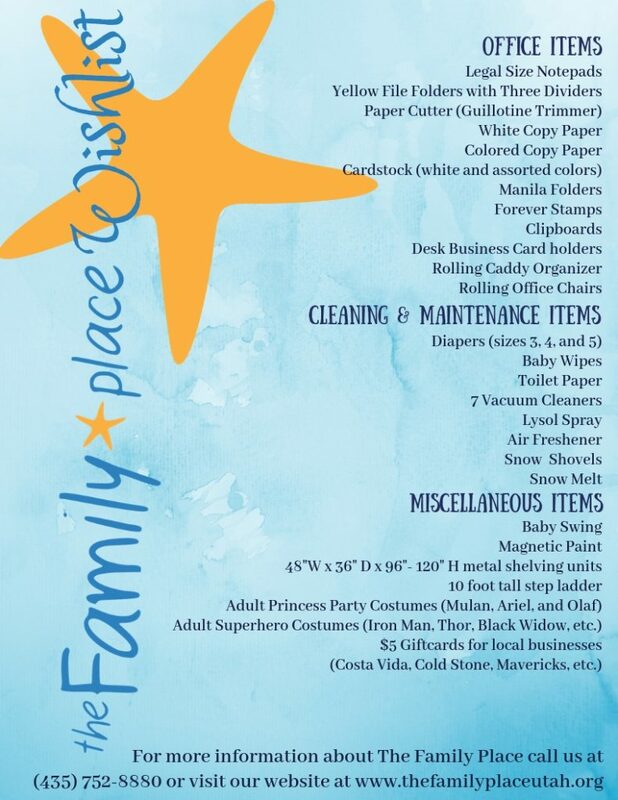 Another great way to support The Family Place and local families is to coordinate a supply drive. For Eagle Scout Projects or organizing a major supply drive, please first call our volunteer coordinator at (435) 752-8880 or email her at [email protected]. We also welcome your cash and in-kind donations. Contact us for more ways to make a difference!